With a group of enthusiastic guides and travel experts, Himalayan Trail Finder Adventure Center officially launched in Nepal in 2007. Since then we have expanded Sales offices in Europe. We also have our ground operational team of staff in Tibet and Bhutan. With many years of experience working with trekkers and travellers from around the world our guests will receive round-the -clock support before and during the trip. Our commitment to exceptional service means that our entire experienced office team will be standby to make your holiday very special one. Once you have booked the trip, you will be provided with urgent contact numbers and email addresses of the Head Office Crew. Our group or individual journeys are escorted by experience leaders and local guides who share our passion and values. Our goal is to provide you with real life experience in Nepal, Tibet, Bhutan with our HTF crew. While touring by a carefully created itineries, As well as supporting the local economy or mountain people by promoting community abd eco-tourism. As a cost effective measures, we refrain from mass advertising, and instead focus on guest service. We believe in building satisfied customer; that spread word for us. It’s the way we do business, and it has been working for us. Our experience for over 11 years puts us at the pinnacle of safety awareness. With our highly trained guides, Leaders and instructors, 'safety first' is our policy. Accidents are, if they occur, a very rare case. We have high standards in providing security expertise as all our crew members with appropriate qualifications and licensing from the Nepalese Authority for Mountaineering, Trekking, Tours and White Water Sports. With our years of experience in providing high quality tours and treks, we make sure that all aspects of your travel occur smoothly, pleasantly and at all times safely. Transportation: For small group we use branded Japanese Vehicles and for bigger group we use star line buses or sometimes even sutlez bus. Hotels: We used four star categories of hotels in all the places like Kathmandu, Pokhara and Lumbini but on requirement we can also book the hotel of your choice. You will always find our prices competitive and reasonable. Put simply, you will get excellent value for what you pay. 1. For booking a trip, we need a photocopy of your passport and 20% down payment of the total amount. The rest of money can be paid up on arrival on our office, full payment is required before the departure of the trip and for your last minute booking before a week or month you need to pay full amount of money in advance. 2.Payments can be wired to our following banking accounts. Himalayan Trail Finder Adventure Centre Pvt. Ltd.
Paying Bank: Bank Of Kathmandu Pvt. Ltd. If the booking is terminated earlier then expected for any reason, surely a cancellation fees will be charged. Cancellation fees are normally charged under the following conditions. On or after the starting date: No refund will be made. 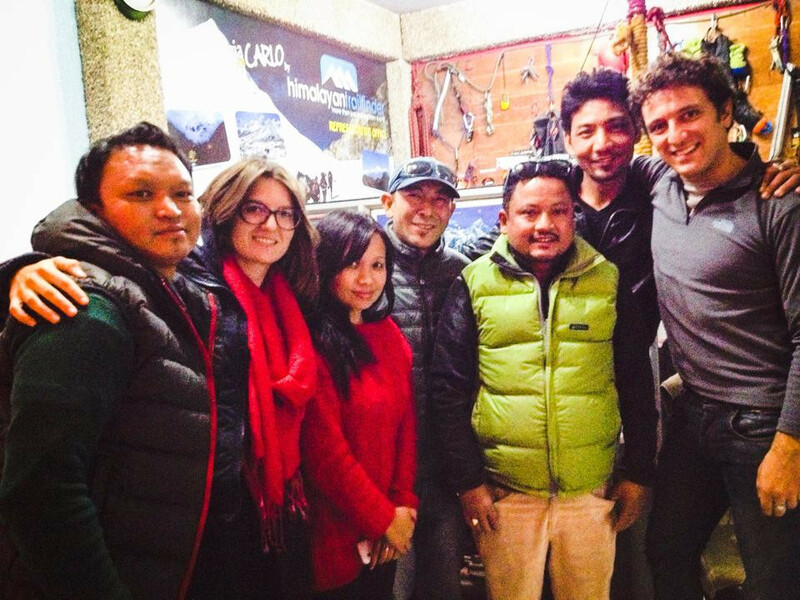 Our guide and leaders who represents Himalayan Trail Finder have all authority during your tours. If you commit any unlawful act, you are compelled to leave the tour. No refund will be made in such case. Himalayan Trail Finder Adventure Centre Pvt. Ltd. Or their affiliated agents or any one in connection to the our tours programmes shall act only an agent for the tourist in facilitating the tours, arranging tickets, transportation, accommodation etc. However, we are not responsible for any damage or loss of baggage or any misfortune . Himalayan Trail Finder will not be responsible for any will not assume any expenses due to flight cancellation, strikes, or amends due to passengers will. Himalayan Trail Finder declares expressly that it only acts as an agent among the travelers and the entities and the people in charge to render the services; consequently it declines all responsibility for the following deficiencies like Nepal, India, Tibet and Bhutan tour is run strictly under their own policies and Tourism Authority. Therefore, we shall not be responsibility for any change or cancellation of programme due to unavoidable circumstance such as Government restriction, road blockage, political unrest, cancellation of flight, flights delays, sickness or accident, Any extra cost incurring there of shall be borne by the clients on the spots. Additionally travel changes take place due to unpredictable reasons such as weather conditions and infrequent landslides on transport routes. In such cases, HIMALAYAN TRAIL FINDER ADVENTURE CENTRE PVT. LTD will always try its best to put into effect appropriate equivalent alternatives in order to benefit to the affected passengers. If major parts of a travel program unexpectedly become unavailable and no equivalent alternative can be found, a reasonable refund will be forwarded to the clients.